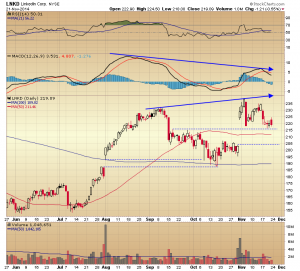 There were lower highs on the Linkedin (LNKD) chart this month, along with a two month MacD divergence. A gap just below the low of the month contains the 50 day moving average, similar to the August/ September gap and the 200 day moving average. 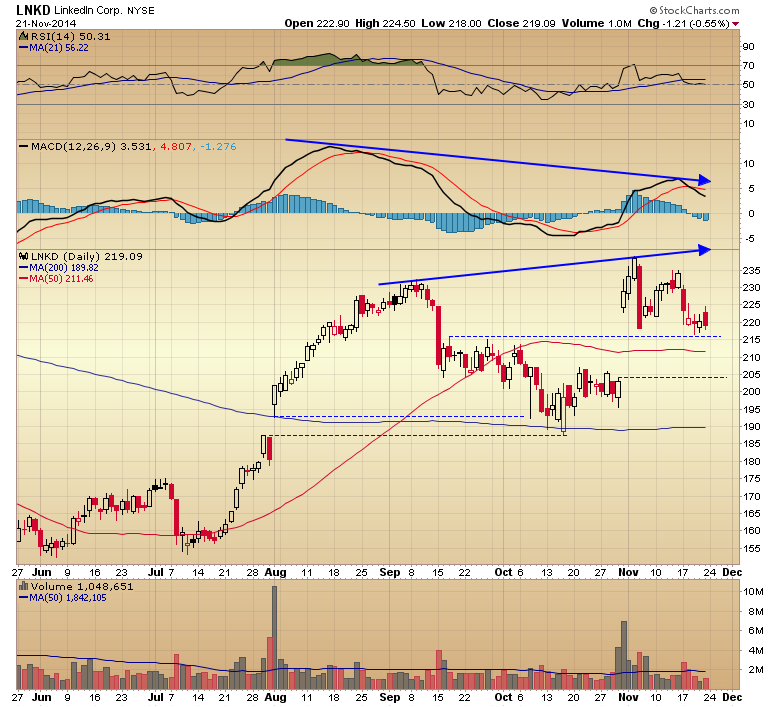 The $216.00 looks like important short-term support.